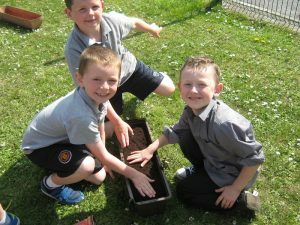 Every Summer the children are given the opportunity to plant the school window boxes. 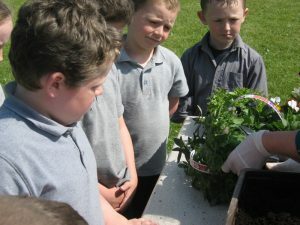 The children learn to love and care for their flowers and wait anxiously to see them in full bloom. 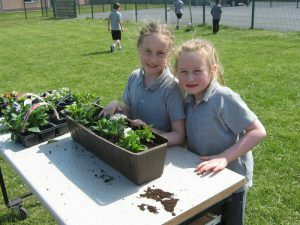 The children learn about the technical side of gardening as well as taking turns, helping each other and maintaining their plants once they are sown and planted. 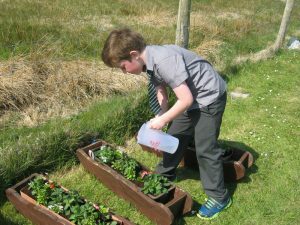 In planting, children are indirectly taught the wonders of science like the plants life cycle and about conserving our environment.